We scrap out dogs and cats, so why not kangaroos? lol I think they're cute, and I've included kangaroos in my Outback Collection. There are koalas, too. 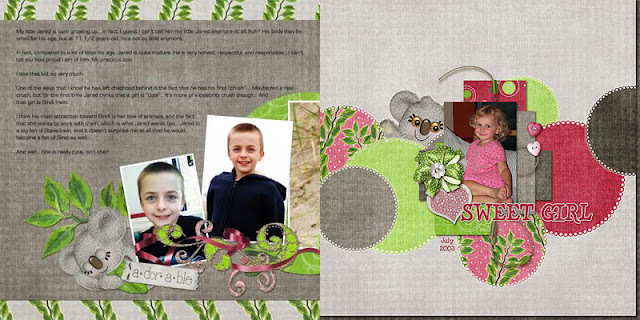 Enjoy these kangaroo and koala layouts by Julie, Liz, Lori, and myself. 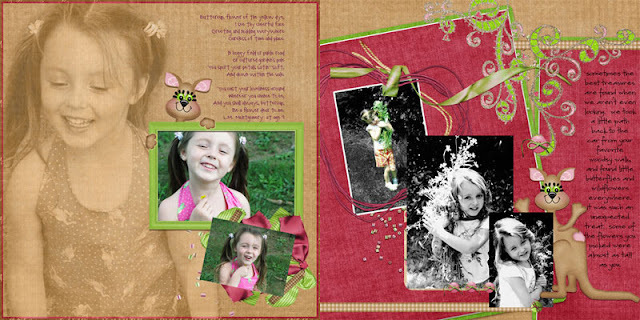 Remember to head over to my A to Z Challenge, check out the prize, and consider showing me a page you've made with a kangaroo or a koala!